Sweden is thought to have more celiacs per person than any other nation in the world. It’s a seriously problem with more and more people being diagnosed as celiacs each here. This also makes it one of the best travel destinations for celiacs. Since the country has been forced to adopt stricter measures in the food industry both in supermarkets and restaurant to cater to celiacs. Larger Supermarkets in Sweden have a very range of gluten-free options which to celiacs will feel like a god send. On top of this since so many celiacs suffer here and its are serious problem in sweden the general population is are better educated in what ingredients contain gluten that a lot of other countries. So it is pretty easy to check with staff in restaurants. There are also plenty of Gluten-free specific restaurants around to quench your desires. Many of Mexico’s fabulous dishes are made with Tortillas. While tortillas are often made from flour which is of course a no go for celiacs. In general corn is the preferred ingredient for tortillas in Mexico. Note that Flour tortillas are often used for Burritos. But anyway it’s of course important to double check with restaurants first and also better to avoid street food for cross contamination. However the Mexican diet in general Makes the country a pretty friendly destination for celiacs. On top of this large supermarket have some options for gluten free snacks and in the big cities like Mexico City and Guadalajara you can find a range of dedicated gluten free restaurants that cater to celiacs. Since Mexico is a budget travel destination these restaurants are usually both good quality and value. Mexico City in particular is one of the best travel destinations for celiacs. The American Fast Food diet is of course horrific for when it comes to gluten. Pizzas, burgers, Bagels & pancakes all sound like the worst possible things you could be consuming as a celiac. However since American loves their food so much they felt it would’ve been a shame for all the celiacs to miss out. Therefore you can find a wide range of gluten free replacements for most of the foods that would usually be out of bounds. From Gluten Free Bagels to Gluten Free Pancakes big American cities have got what you crave! While america is clearly not be the healthiest nation on earth there is big natural food subculture which make it very easy to find alternative foods. There are plenty of natural food stores to buy your snacks and options for celiacs in the majority of supermarkets. America is also pretty advanced when it comes to the knowledge of gluten allergies. Something I have only witnessed in America is that most restaurants have dedicated gluten free menus upon request. This is Probably because everyone is worried about Sewed however and While the options may be limited at least you know what your eating! Irritatingly if it wasn’t for that damn Soya Sauce, Japan would be a Fantastic place for Celiacs. That said it is still pretty decent with some good options for celiacs. Since rice doesn’t contain gluten most rice dishes can be consumed so long as they do not contain soya sauce. 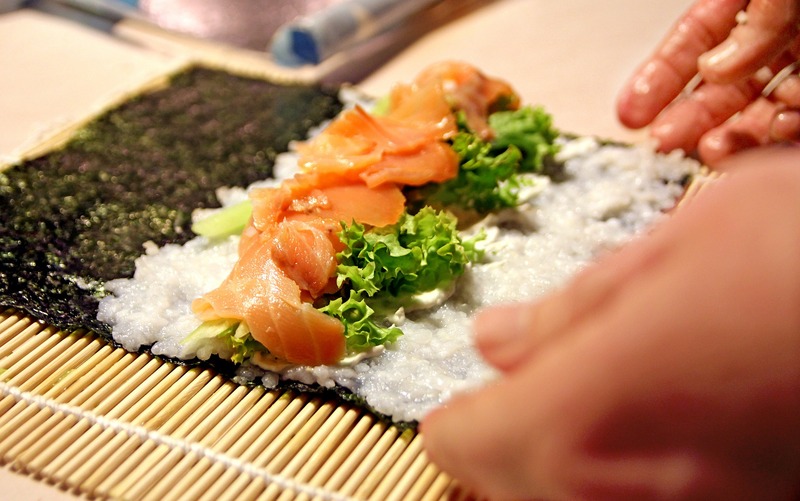 Sushi is a good option for Celiacs and you can often find noodle dishes with are made from rice instead of pasta. Unfortunately the likes of tempura and some other friend dishes are off bounds but celiacs should be left pretty satisfied. On top of that when asking about your food note that the Japanese are very polite people and very unlike to deliberately lie in your face about what your food contains.